SamWon House is a Korean Restaurant which is started by a local owner whose hobby is eating and cooking Korean Foods, a.k.a. a Korean Food Fanatic. As soon as you enter, signs of a local owner seems impossible, as the authentic decorations of SamWon House is highly influenced by the Kyung Bok palace in Korea. Once you are seated, you are welcome to enjoy the small complimentary appetizers that are served in all the Korean restaurants. Usually they involve tradition bean sprout dishes and fish. As you skim through the menu, you will find that they have got the combination of authentic Korean street food favourites down pat, with a major exception that they do not serve any pork or use lard in their dishes. Start off by sampling one of the most favourite street food of Korea-Tteokbokki. This spicy rice cake is street food enjoyed by school children all times of the year, and is a perfect dish to share and start your meal here. The Gochujang (traditional fermented korean condiment), equivalent to the ABC sambel of Indonesia is responsible for the fiery and sweet flavours in the bland chewy rice cakes. Another pleasant surprise that we discovered at SamWon House is the Budae-Jjigae Jeongol, which is a fusion of western and traditional Korean Jjigae (soup) . This dish was invented when some people took advantage of the surplus food available by the U.S Army during the Korean war and they decided to chop up the spam, sausages and canned ham that was eaten by the U.S Soldiers and throw it all in into their Jjigae with kimchi and sticky rice cakes. SIMPLY DELISH!!! Except at Sam Won House the pork sausages are replaced with chicken sausage, but it still is a must try! 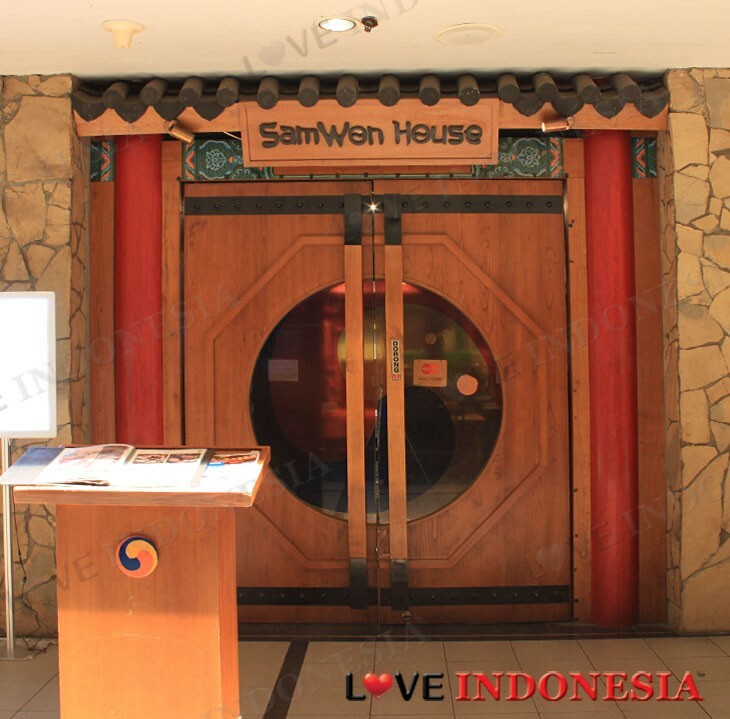 SamWon House also offers an array of Korean barbeque dishes such as; Japchae, and the Korean national dish of Bee Bim Bab that cannot be missed. But for those who are experimental, we suggest that you try the Yukhoe, which is the Korean take on steak tartare. People usually cringe when you mention this dish, as while eating raw fish may be acceptable now, however, raw beef is not. This dish may sound simple to prepare but the sourcing the freshest of ingredients is the challenge. At SamWon House, you do not need to worry, as their imported ground beef and orange egg yolk is not just 'eye-candy' but safely edible as well. Their sauce is a combination of spices, soy sauce, sugar and sesame oil which is drizzled over the raw beef and the texture of the dish with the aromatic sauce is surely a force to be reckoned with. 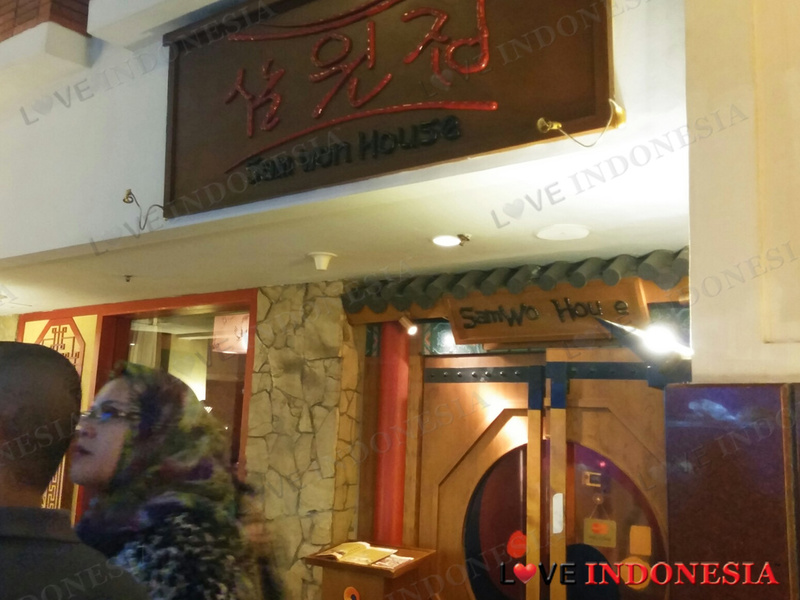 Overall a good selection of popular Korean dishes and totally worth a visit. What is near "SamWon House"?